Evolution is not a hypothesis. For over 150 years—since the time of Charles Darwin—the Theory of Evolution has been through more scrutiny and rigorous investigation than just about any other scientific claim. And the theory has only been strengthened as more evidence has been accrued. 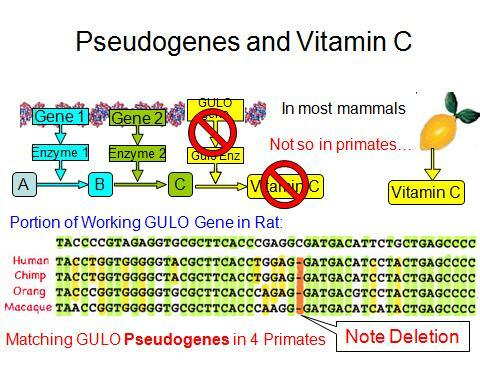 While there are many that people who, for ideological reasons, want to make it seem like evolution is not widely accepted within the scientific community, this is not actually the case. Across universities, research institutions, and scientific organizations, evolution is not only nearly universally accepted, it is also the basis upon which active, exciting, and important research is being done. Indeed, the scientific fact that is evolution is the basis of most of biology. To that end, this is a complete overview of the most direct evidence in support of evolution. Think about your family. You and your closest relatives look more alike than you and your cousins. Likewise, you look more like your cousins than you do more distant relatives, and more like distant relatives that people on the other side of the globe. The closer you are related, by-and-large, the more similarities you share. Of course, these similarities extend well beyond the surface level, reaching into our genetics. This patterning, like in your family, extends throughout all life on Earth. The patterning of the similarities speaks volumes. 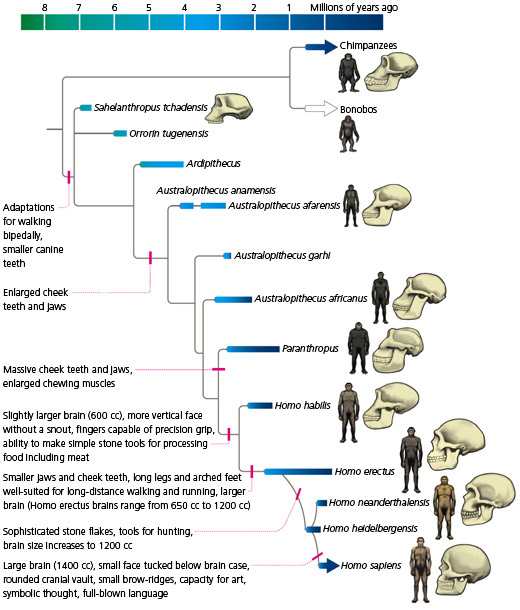 In evolution, these “similarities” are known as “synapomorphies.” They are characteristics that are present in ancestral species and are shared exclusively (in more or less modified form) by this species evolutionary descendants. 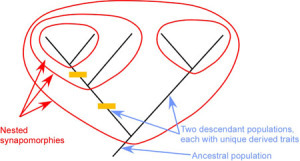 Synapomorphies come in nested hierarchies that are related to the variety and intensity of the similarities. Why is this the case? 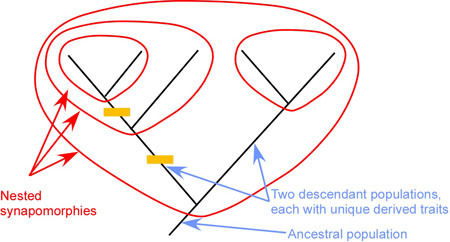 The similarities have been inherited from common ancestors, and the further back in time any two species shared a common ancestor, the more faded and distant the similarities become. It is important to note that, species with a large number of similarities tend to live near each other—penguin species only live in the Southern Hemisphere, marsupials live almost exclusively in Australia, cacti almost exclusively in the Americas, lemurs in Madagascar, etc. If evolution was not true, this geographic patterning would make absolutely no sense. Furthermore, these similarities often seem to be completely arbitrary, rather than having some selective advantage. Insects, though unbelievably diverse, have 6 legs. 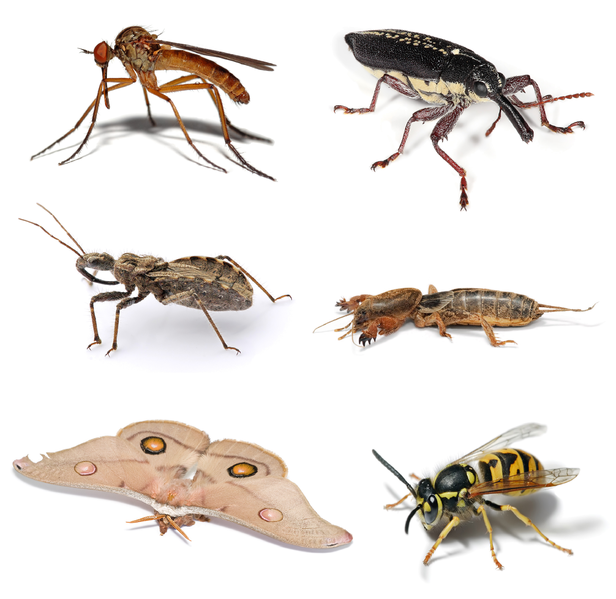 There are likely several hundred thousand insect species and they all have pretty much the same body plan. One of the most important discoveries that lead to Darwin’s Theory of Evolution was extinct animals found as fossils. Early paleontologists, like Charles Lyell and George Cuvier, noticed a very simple fact: Species that lived in the past are very often drastically, wildly different from anything alive today. Trilobites, dinosaurs, giant sloths, baculites, etc., they all suggest that life on Earth has changed quite a bit. That would be interesting enough on its own. What makes it more interesting is that, the further back one goes, the more different the species appear when compared to today’s species. 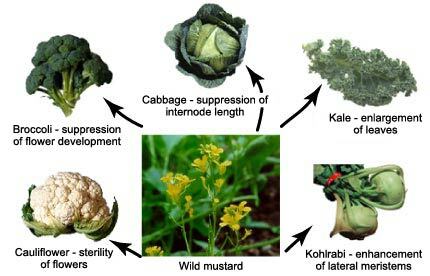 These overarching trends can also be seen on the individual level, as lineages can be seen changing over time. How do we know, though, that fossil progressions don’t just represent separate, unrelated species? First, they have similarities that suggest they are related (see above reasoning concerning similarities between species). Secondly, they represent a trend, also known as a progression of change. For instance, over time, the species go from low expression of a certain trait to intermediate expression to high expression. Like the evolution of legs, for example. In fact, since we are on the topic, there is no missing link in evolution. Lastly, the fossils are dated and organized by direct means (like radiometric dating) or indirect means (like relative dating using unique marker layers, fossils, or other techniques). Fossils aren’t the only way that we can see species changing. We can see it in a laboratory, across geographic distribution as a species spreads, or through artificial selection performed by humans. Turn over a manufactured product today, and you are likely to see a small sticker or tag that says what country it was made in. Like those tags, species bear the marks of where they came from. These signs of origin might come in the form of repurposed traits, traits that hurt a species chances of surviving or reproducing. Put simply, species are flawed, and it’s these flaws that clearly tell of their natural origin. If you didn’t know any better, you might think this was a flattened elephant foot. Well, that’s not far from the truth since manatees are closely related to elephants. 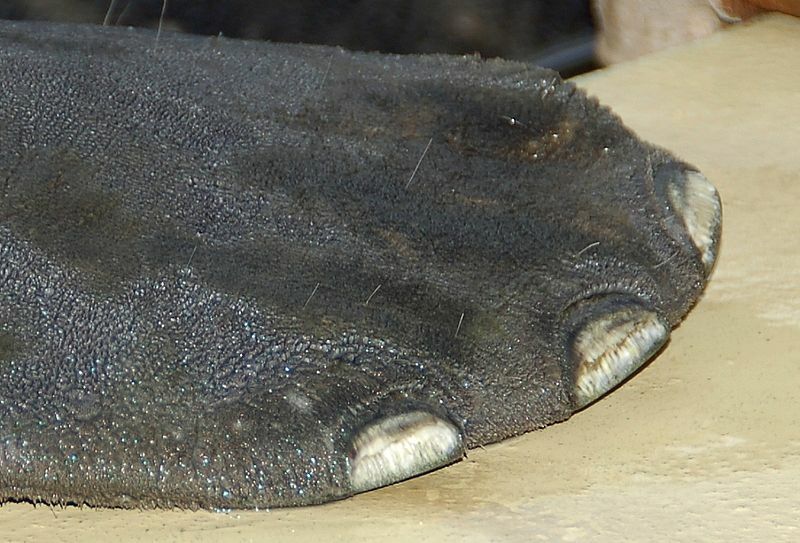 The West Indian manatee (Trichechus manatus) has fingernails on its flippers and hair on its body (visible in this photo). Does this species share similarities with other species that might suggest that they are closely related? Are there progressions of change for this species that we can see in the fossil record, recorded history, or across geography? Does this species have any traits that are the remnants of past generations? Those three simple questions can, if you let them, transform the way you look at the biological realm around you. Go ahead. Ask away. Biology will never look the same.